Your system probably fits the needs of your business now and for a couple of years into the future. But will this still be the case in 2022? We encourage you to challenge yourself. Is your current system for managing fleet card payments ready for your “next big thing”? This checklist was designed by Walter Van Huyck, an expert in fleet card systems who has led the development and marketing of international fleet card systems for major fuel retailers, such as Lukoil and ConocoPhillips. Now Walter works as Business Relationship Manager at OpenWay, a software provider of fleet card issuing and acceptance solutions. Does your system support business growth? This is the most important question. When you expand cross-border, your fuel card system should support multi-currency payments and be compliant with local accounting regulations. If you acquire or merge with another fuel company, the system should be able to handle multiple entities, with streamlined card payments operations across all business units. Furthermore, if you have a successful year and double your customer base, your system should be able to process increased volumes without issues. Modern systems provide scalability and do not limit your growth opportunities. 2. Are you flexible enough to provide the best experience for your customers? As a fuel retailer, you want the best service experience at your petrol stations for corporate drivers and individual customers alike. They deserve the latest payment innovations you can offer. But if your card system or service provider is lagging behind, you lose control over how and when you roll out new features. For example, real-time payments have become a game changer for corporates. Your system should be able to check the limits, assess risks, calculate the best price, and apply discounts – all online and in real-time. Fleet managers expect to see the updated balance just moments after the top-up. For individuals, mobile and wearable payments can be a good differentiator. If drivers prefer to pay without leaving their car, then petrol stations should be able to accept this type of payment – whether it is QR-code, NFC, or in-app based. Sometimes, such innovations bring even more value to the business. One of our customers now delivers a fuel card directly to the driver’s mobile app. Users pay at stations by scanning a barcode. No plastic card is needed. They can check the balance and amount available on their account, limits on petrol types and car services in real-time. For the fuel company, it has brought significant savings on plastic card issuance and eased the pressure on customer support staff. 3. Is your business compliant? If you operate in Europe, your system supports the IFSF standards as a matter of course. But recently there have been a few regulation changes that do not apply to the fuel business directly but mandate changes in business processes around customer data and the security of payments, e.g. GDPR and PSD2. Can your system adopt theses new requirements easily? 4. How does card management fit in your business ecosystem? B2B customers expect to be onboarded just in hours or days, not months. Also, they want to perform most fuel card operations via online portals and mobile apps. At the same time, fleet managers prefer to receive reports on fuel expenses in near real-time. This means that the whole business should work as a well-oiled machine, without interruptions and bottlenecks. This can be achieved if the core payment platform is truly online and integrates with other business-crucial components through standard, open APIs. This delivers business automation and enhances customer service. 5. Do you have enough control over business development and service quality? Want to set up a new rule for price calculation for VIPs or launch a new card for tourists? How long will it take for the IT team to satisfy your request? Also, controlling service quality can be a pain point for companies that rely on third-parties to run their card business. For some types of fleet companies guaranteeing 100% service stability is a must. As an IT director of a major fuel network that uses our platform puts it: “It is not the end of the world, if a person can’t pay at the supermarket because of system downtime. But ambulances can’t be kept waiting at our stations. It may cost a life and it will definitely cause fines and reputational damage for us”. How quickly can you support requests from business? Normally, a new product feature should be a matter of configuration, not a heavy customization exercise. And your team should be able to do this without vendor involvement. Sometimes new functionality can be a challenge if the current system was tailor-made for your company. You cannot always benefit from developments made for other users. So, a standardized off-the-shelf solution could be the answer. Maybe it is high time to optimize the architecture to remove redundancy and complexity. For example, some of our customers manage card issuing, acquiring, and transaction switching for several countries on a single platform. This centralization delivers maintenance and vendor management savings. If you migrate data from legacy systems, the new system should be able to accommodate customer data, so that unification does not cause a loss of valuable information. 3. Do you have enough control over your system? In-house vs. outsourced operations? There is no right answer here. An in-house system means agility and full control over your business, which comes together with significant investment in the team and infrastructure. On the other hand, outsourcing card operations means almost no levers of influence on the product roadmap and service stability. A good alternative can be to run your system in the cloud, thus cutting infrastructure costs while still retaining control over the product. Assessing your card payment systems is not an exercise to be undertaken daily or even monthly. But some factors, such as a business expansion strategy targeting new geographies or customer segments can trigger the change and open new doors. Our experts will be glad to share with you how fuel companies can drive a better customer experience on WAY4, the leading digital payments platform. Banco Consorcio has successfully launched a credit card business with Nexus, the major processor in Chile. The Nexus platform is built on WAY4, a top-ranked digital payments software provided by OpenWay. Banco Consorcio, founded in 2009, specializes in consumer and commercial loans, mortgages, deposits, real estate financing and other services. It is a member of the Chilean financial conglomerate Consorcio Financiero. To support the conglomerate’s strategy of financial development and expansion, Banco Consorciodecided to launch consumer card issuing. The bank received issuer accreditation for credit and debit Visa cards at the end of 2017 and carefully reviewed possible processing partners to kick-off its new business line. Banco Consorcio chose Nexus thanks to its market leadership, innovative approach to product development and highly flexible card management platform. 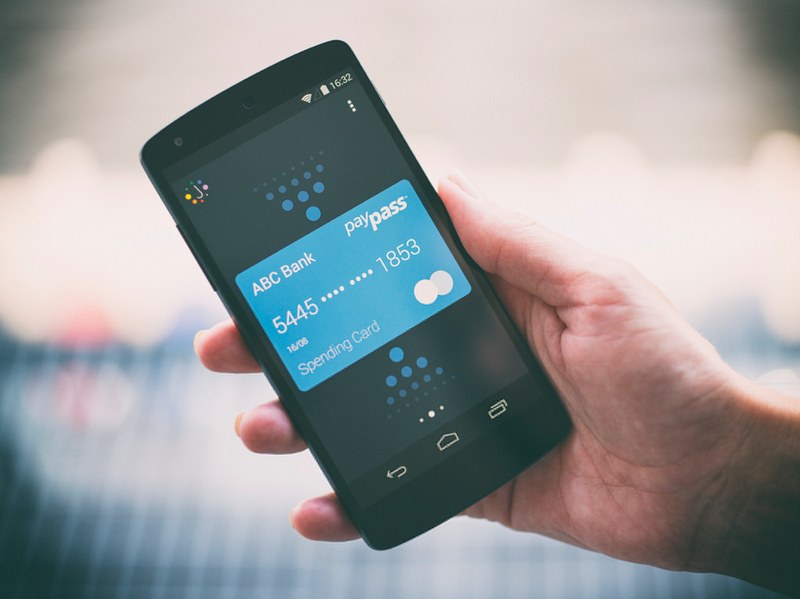 Nexus serves more than 60% of the credit card market in Chile. Among its customers are 15 issuers, including banks, local and international financial institutions and private label retail schemes. The company is gradually migrating its card portfolios to the WAY4 system, which helps it to compete more strongly in the Chilean payments market and meet constantly changing customer needs. Nexus can maintain high volumes and customize products in a fast and cost-efficient way on the new system.WAY4 also efficiently processes data to personalize services and ensure a better payment experience for Nexus clients. Nexus is the leading credit card processing company in Chile and has been in the market since 1997, offering services to almost all banks and retail institutions in the country. The company´s main core business areas are: transaction authorization, card management processing, online channels, card personalization, payment security (including fraud prevention) and business intelligence to support issuers’ strategies. During 2018 Nexus processed more than 9 million accounts and 4 billion online transactions. At Nexus we are driven by our purpose: provide great payment experiences every single second of the day – immediate, easy, smart and safe. OpenWay, a global leader in digital payment processing software, today announced the successful integration and compatibility of its WAY4 payment processing platform with the Gemalto SafeNet Payment Hardware Security Module (Luna EFT 2). This means that processors, card issuers and merchant acquirers that are already using this HSM do not need to invest in additional cryptographic infrastructure when migrating to WAY4. The Gemalto SafeNet Payment Hardware Security Module’s broad payment security functionality, flexibility and high-end physical and logical security architecture, along with PCI-HSM certification, makes it one of the most comprehensive encryption solutions on the market. It can be used for both in-house and cloud deployments of the WAY4 processing system. Gemalto’s SafeNet Payment HSM also helps to ensure the security of payment processing environments for credit and debit cards, e-wallets, as well as online and mobile payment applications. To protect contactless mobile payments, it manages the entire cryptographic process from card enrollment and provisioning to tokenization and transaction processing. The solution specifically helps payment providers adhere to EMV security standards on both issuing and acquiring sides. “As the growth of digital payments, specifically mobile payments, continues to accelerate, solutions that provide security, flexibility and cost savings will be in high demand. We believe that the SafeNet Luna EFT Payment HSM will provide WAY4 users with the scalability and flexibility they require when operating in the fast-moving digital payments market,” said Todd Moore, SVP Encryption Products at Gemalto. “Seamless security of transactions is on top of mind for our customers. For many years OpenWay has been relying on the skills and expertise of the Gemalto’s payment security team, and now we’ve extended the range of compatible HSM devices with the SafeNet Luna Payment HSM. Our collaboration with Gemalto enables our customers to explore new business opportunities, such as online and mobile payments, in a more secure and cost-efficient way,” said Dmitry Yatskaer, CTO at OpenWay. WAY4 is an open, omni-channel digital payment and card processing platform. It supports digital wallets, private label and branded card issuing, as well as merchant acquiring, financial switching and channel management. WAY4 is deployed by tier-1 banks and payment processors across the globe. OpenWay has a reputation for innovation, being one of the first in the world to support OEM-wallets, payment schemes tokenization, and the 3-D Secure 2.x protocol. Gemalto and OpenWay solutions undergo regular audits to meet the requirements of PCI Security Standards Council (PCI-HSM and PA-DSS certificates respectively) and are certified by major international payment schemes. For the second year running, Equity Bank has scooped the Visa Top Acquirer Award at the 2018 edition of the Visa Awards. The award was issued to the Bank for pushingthe highest Visa card volumes in 2018. Over the last year, Equity Bank has made significant investments in its merchant acquiring infrastructure, which resulted in a 34% growth in the volumes being transacted by the Bank’s merchants, from Ksh. 40.3 billion in Q3 2017 to Ksh.54 billion, according to the Q3 2018 financial results. Equity currently has 14,642 merchants with some of the most notable being Naivas, Tuskys, Oil Libya, Total Service Stations, the Intercontinental Hotel, Quickmart Supermarkets, Simba Corporation Limited, Kenya Airways, KWS, the Nairobi Hospital, Chandarana Supermarkets, Furniture Palace, Tamarind Hotel , Text Book Centre, among others. Commenting on the award, Equity Bank’s Managing Director, Polycarp Igathe noted that the award was a result of the Bank’s contribution to a cashless economy. “We are elated to receive the award, because it is evidence of our efforts towards the facilitation of cashless transactions, giving customers convenience and frictionless experience across the region by enhancing our card and payments processing services,” he said. In addition to Visa, Equity Bank acquires American Express, MasterCard, China Union Pay, JCB Diners Club and & Discover. BORICA gathered nearly 100 client representatives from the Bulgarian banking sector together for a seminar dedicated to the BORICA New Generation program. This project to implement a new, modern platform for card authorization, processing and real-time fraud prevention started at the beginning of 2018 and is expected to be completed by the middle of 2020. The WAY4 software solution is developed by the leading software supplier, OpenWay. Its card management, terminal and fraud prevention technology provides reliability, security, flexibility and a high degree of parameterization to support rapid deployment of new products and services. "There is a large-scale project of the bank migration to the new payment platform, including ATM management, POS switching and merchant acquiring, 3D Secure e-commerce gateway, and card issuing. From now on, banks have to plan and budget for the migration within their organizations. The process itself includes participation by both banks and BORICA and a number of subcontractors, which requires a high degree of consistency in mutual work," said Miroslav Vichev, CEO of BORICA. The WAY4 card solution is available on a SaaS basis. "It is complex and multifunctional and also includes modern fraud prevention and risk analysis functionality, which offers much greater possibilities than that we have had so far," explains Radoslav Dimitrov, director of cards and terminals, BORICA. WAY4 also helps with the implementation and marketing of new products and services within a short timeframe, streamlines processes, services and functionalities and ensures a high level of service availability. "The system is duplicated in two separate locations, each of which has standby capacity," he added. "We chose the WAY4 CMS (card management system) because of its rich functionality. 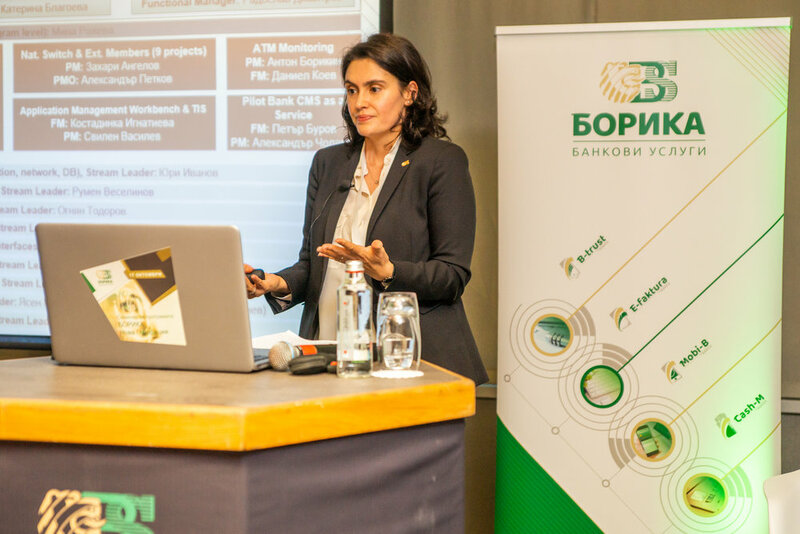 The ability to parameterize products and services enables banks and users of the system to quickly achieve their business goals," explained Anna Angelova, director of payment services at BORICA. "The system is offered on a cloud service basis, which allows customers to save money and gives them a high degree of flexibility when launching new products and services," she added. The migration process also involves transferring participants with their own authorization systems to the newly-built National Switch, plus the migration of ATMs, POS terminals and 3D Secure to WAY4. "The ATM network management and monitoring system will be offered as a service and can be used by all banks in Bulgaria, not only those in the BORICA card model," said Anton Borikin, head of ATM payment acceptance and POS, BORICA. The bank's payment levels will depend on the functionality of the bank, he added. The WAY4 system also has strong functionality to prevent card fraud with high speed and reduced response times. "In practice, fraud monitoring is integrated with the card management system, which includes risk levels and scenarios that trigger automatic alerts," said Yassen Yanev, head of card fraud protection at BORICA. "The migration schedule of each institution, as well as its financial dimensions, depend strongly on the business priorities and the specific resources and time available at the banks," said Katerina Blagoeva, program manager "BORICA New Generation". Balgoeva expressed the readiness of the team to cooperate as efficiently as possible with banks in their transition to the WAY4 system. Customers are demanding sophisticated financial products and services anytime, anywhere, using any channel. From Africa to Europe, the Middle East and the US, the change in customer expectations is a significant global trend. Consumers are not only comparing banks with other banks; their expectations are also rapidly being shaped by technology companies such as Uber, Airbnb, Apple and other facilitators that ease their lives and give them the desired experience. And consumers and businesses are now demanding sophisticated financial products and services anytime, anywhere, using any channel. To deliver on these new expectations requires the right type of digital capabilities behind the scenes. Technology platforms must be flexible, scalable and work end to end. Naturally, they must also be secure and work across all channels – the ones we know about today and the ones we don’t yet. Yet banks and processors also have to balance seemingly conflicting demands. They want to cut costs and time to market but are constrained by their legacy IT infrastructure. This is complex and costly to maintain, and it restricts their ability to innovate. Then there is the need to maintain regulatory compliance, interoperability and 24/7 operations. Fintech start-ups are also piling on the pressure. These newer, more nimble players are not encumbered by legacy. They can adapt more easily to the demands of customers and regulators. The fintechs may not have scale today, but their technology allows them to compete strongly in the future. The right type of technology helps businesses think as well as act differently. In this way, technology drives both a technical and a cultural mindset. If the future of payments is to be open and collaborative, then banks and processors need to have the technology in place to capitalise on opportunities. This often means better rather than more technology. Payment systems should allow different business models to run on the same platform. OpenWay’s WAY4 platform enables concurrent customer propositions and business models, both new and traditional. It offers a variety of credit, debit, prepaid and multi-currency services for mature customers, and supports financial inclusion use cases for those who are unbanked or new to financial products. Loyalty, deposit, payment and non-payment services and online interoperability are musts for successful wallets. These five elements unite clients as varied as Equity Bank in Kenya, Asia Commercial Bank and SmartNet in Vietnam, B1NK and AzeriCard in Central Asia, Advanced Info Services in Thailand and many others that either create their own wallet products or use an existing wallet ecosystem on WAY4. Openway clients target both unbanked consumers and demanding tech-savvy users. Payments live in an ecosystem. Banks and processors are increasingly having to consider how and where they operate within this wider ecosystem — and naturally with whom. Their technology should facilitate greater co-operation or competition, and sometimes both. Ideally, payments platforms should be payment-method-agnostic, open and supportive of a rich library of APIs for everything from risk management and scoring to tokenisation. Scalability and flexibility are critical. The chosen technology platform should have the flexibility to scale up to meet business needs and the robustness to cope with sales spikes. One of Openway’s biggest clients handles up to 2,400 transactions per second with no latency. This bank has achieved 140-million active debit and credit card portfolios with a variability of products and more than 40 configurable parameters for each of them. Invisible security is key. That the platform should conform to the latest versions of EMV, 3-D Secure and PA-DSS is a given. In addition, a good technology partner should offer a range of fraud screening and risk management services. OpenWay provides an anti-fraud engine with about 80 customisable parameters, including payment and non-payment transaction data, customer and device information and historical analysis, which bring seamless security at every customer touch point. Personalisation: one size fits no one in payments. Openway worked with Nordic processor Nets to implement standardised products with minimal configuration options on WAY4, enabling quicker speed to market for end clients and with Borgun (Iceland) to offer merchants personalised pricing and value-added services. Plus the product user experience is personalised in real time due to the event-driven configuration. Omni-channel is the default for banking and payments today. Customers should not see or feel the awkward join as they bank or shop online or in person at a branch or store. Openway helped Halyk Bank, one of the most innovative financial institutions in Central Asia, power the front-end omnichannel experience across e-commerce and face-to-face acceptance. Commerce becomes more and more borderless. Top European processors have built distributed installations worldwide on WAY4 for issuing, acquiring, gateway and wallet services. For example, Six Payment Services successfully migrated close to 40 banks to WAY4 within two years. When the client’s digital strategy or domestic/regional regulations require on-soil presence, the platform allows the combination of cross-border centralised installations with local ones in the distributed processing environment. Good examples are Nets serving its banks throughout the Nordics, and Credorax working with merchants across Europe, both on the WAY4 platform. Knowledge, skills and experience count for a lot in the brave new world of payments. OpenWay has more than 20 years’ experience in managing complex projects in multiple countries worldwide. The company has built national payment switches for countries, helped facilitate social payments for governments and interoperable mobile payments for banks and operators, and managed fuel card payments for oil companies. Leveraging this, the National Bank of Greece recently replaced its legacy mainframe systems with the modern, future-proofed WAY4 platform, and received recognition for delivering the best large-scale IT project in 2018. The WAY4 system is an open, digital-payments software platform, used by 135 banks, processors, telecom and oil companies across the globe. OpenWay has been independently ranked as a market leader in card and merchant management by Gartner since 2009 and Ovum in 2015-16, and as a market leader in digital wallets (Ovum 2016). For more information, click to download the analytic reports. Alfa-Bank Belarus, part of the Alfa-Bank Group valued at $44 billion in total assets, has completed its migration to the WAY4 platform by OpenWay, a top-ranked digital payment software provider. Well-known in Eastern Europe for its digital banking approach, Alfa-Bank migrated its payment cards and online services to an on-premise WAY4 solution to cut operational expenses and time-to-market, and promote innovation. "OpenWay’s flexible approach to the project implementation strengthened the basis of our future partnership in developing new digital banking products,” - says Rafal Juszczak, CEO at Alfa-Bank Belarus. One of the specific project requirements was to transmit progress of the migration in real time. Over 50,000 bank clients could monitor every step of the migration process, which significantly reduced in-bound calls to the customer support center and online chat messages. Processing in-house enables Alfa-Bank to introduce new banking products and services while controlling costs. “The success of the project was achieved through collaboration and a joint Alfa-Bank and OpenWay team sharing the same vision. Another key to success was the project management excellence that aligned with the project’s goals” - notes Dmitry Dovgal, Deputy Director of Business Development at OpenWay. Alfa-Bank Belarus is a leading private bank in the Republic of Belarus. According to IFRS reporting as of the end of 2017, Alfa-Bank Belarus is a top-10 bank in the Republic of Belarus based on the amount of total assets, total capital, loan portfolio and attracted assets. The bank’s strategy - "In the Rhythm of Life" is focused on the digitalization of processes. Markswebb rated the bank’s application among the top 10 bank applications in the CIS and Georgia. National Bank of Greece has been awarded for the best Card Management System (CMS) Project at the Bite Awards 2018 held on the 13th of June. During the ceremony the bank has appreciated OpenWay and Accenture companies that helped National Bank of Greece to successfully transform its business on the WAY4 CMS solution. National Bank of Greece, the country’s leading banking institution, has successfully completed the migration of its debit card portfolio to the WAY4 card management system provided by OpenWay, a top-ranked digital payments software provider. Investment in the new platform supports the bank’s vision to enhance its leading position in Greece and further accelerate business growth. National Bank of Greece has replaced its legacy mainframe systems with a modern, future-proofed platform from OpenWay. WAY4 will support increasing transaction volumes and accelerate the development of new products and services. WAY4 from OpenWay is an open, all-in-one platform that enables different types of digital payment: card and account issuing, merchant acquiring, transaction switching, omni-channel digital banking, digital wallets and an e-commerce gateway. It offers product and service flexibility, scalability and high performance – which are the crucial requirements for dynamic business growth. National Bank of Greece will reduce the total cost of ownership of its IT infrastructure by consolidating its card business on a single platform. It will also cut costs by eliminating outsourcing and certain internal operational costs. More than 4 million debit cards, the majority of which were recently upgraded to contactless, have been migrated to WAY4. National Bank of Greece is now in the process of migrating its credit and prepaid card portfolios and its POS and ATM acquiring business to WAY4; it will also replace its Base24 switch to the payment schemes. “Delivering an amazing customer service experience is a top priority for us and the centralization of card business on WAY4 enable us to operate more efficiently, react to new market trends quickly, and be more competitive in the open banking environment” - notes Pericles Papaspyropoulos, Sector Head, Cards Division, NBG. “We are proud to be a strategic partner for National Bank of Greece and support them in the implementation of their ambitious digital payments strategy. Reliance on a technically excellent platform, strong partnership between all involved parties and the commitment to the project from the bank’s top management, brought us to this big success. We would like to thank our partner, OpenWay, for this excellent collaboration” – says George Pallioudis, Accenture Greece Payments Practice Lead. “WAY4 technology supports end-to-end customer engagement: from seamless digital acquisition to flexible products management via omni-channel to smart data-driven services,” says Sophocles Ioannou, Regional Manager at OpenWay. “We are honored that National Bank of Greece has selected WAY4 as key element of their digital transformation project. We now look forward to further supporting them in delivering innovative services and products to the Greek market,” he adds. National Bank of Greece was established in 1841 and was the first bank to be set up in the Modern Greek State, going on to play a key role in the economy of Greece throughout its 176-year history. Today NBG heads one of the largest financial groups in Greece, playing a key role in the efforts to support the Greek economy and the economic and social transformation of the country. NBG offers a wide range of financial products and services that meet the ever-evolving needs of private and business customers. The Bank rightly considers itself to be the preferred bank of families in Greece, as it controls 25% of the retail banking market. Its leading position in savings deposits reflects the trust of its customers who in essence comprise NBG's driving force. With an extensive branch and ATM network comprising over 542 branches and 1,466 ATMs, NBG covers the entire geographical area of Greece, while it has also developed state-of-the-art e-channels, including Mobile and Internet Banking. Today, NBG's international network includes 93 units, while the Group employs some 11,500 employees (as at 31 March 2018). Network International has migrated an Emirates NBD's issuing business to Network One based on WAY4 solution by OpenWay . Incorporating the world-recognised WAY4 payment processing system by OpenWay, Network One will enhance and accelerate Emirates NBD's ability to create bespoke cutting-edge products for its credit and prepaid card customers based on payment behaviour, giving them a distinct edge over competitors. Network International's seamless migration of a large-scale portfolio of the leading cards issuer in the market, Emirates NBD, marks an important milestone for the payment solutions company as it looks to consolidate its market leadership in the UAE and strengthen presence across the Middle East and Africa. "Successfully implementing Network One migration for a large-scale cards player such as Emirates NBD is a solid testament of our expertise and capacity," commented Network International's Group CEO Simon Haslam. "We are delighted to be Emirates NBD's partner of choice in this critical project as we mark new ground as the unrivalled regional leader in card issuing." Added Matt Sinclair, Group Chief Information Officer of Network International, "This project underlines Network International's core purpose of enabling clients to strengthen their capabilities to grow and maintain market leadership. Our well-coordinated approach helped deliver a seamless solution to Emirates NBD, migrating the entire cards portfolio seamlessly. We now look forward to lending our expertise to other banks in the region looking to upgrade their proposition with value-added payment services". Network One is based on a framework that allows innovative payment and card products to be created by monitoring the behaviour and attributes of a payment. It also fully supports the implementation of value-added services such as loyalty programmes, mobile payments, loans and fraud management. Suvo Sarkar, Senior Executive Vice President & Head - Retail Banking & Wealth Management commented: "The Network One platform offers us enhanced speed and scalability, and will allow us to provide more customized and innovative banking and payment solutions for our customers, helping us to remain their bank of choice." Network International has previously successfully migrated 15 other banks across the Middle East and Africa to Network One. Network International is currently the exclusive partner and reseller of OpenWay's licensed solutions within the Middle East and African markets. Established in 1994, Network International LLC is the largest acquirer in the UAE, and a leading payment solutions provider in the Middle East and Africa region (MEA), servicing more than 70,000 merchants and 200 financial institutions across 55 countries. The company’s service offering comprises a comprehensive range of payment products and services for both the Issuing and Acquiring segments of banks, financial institutions and retail merchants including end-to-end consultancy ranging from planning and designing to developing of new card and consumer finance products and services. In addition, the company offers several value-add products including data analytics, scoring and loyalty solutions. Network International has Operation centers in the UAE, Egypt, Jordan, South Africa and India, with its corporate head office in Dubai. The company recently acquired Emerging Markets Payments Holdings Limited (EMPH) and continues to invest in strategic partnerships that will increasingly see its influence spread across the region. As the first independent vendor certified by both Visa & MasterCard for card payments in the Middle East, Network International is a Principal Member of Visa International and MasterCard International in the UAE and enjoys extension of its MasterCard License in other key countries. It is also a member of JCB and Union Pay card schemes, and it owns and manages the Diners Club International Franchise in the UAE, Egypt, Lebanon and Jordan. The company also launched a GCC-based domestic scheme, Mercury, and partnered with Discover Financial Services (DFS) to allow global acceptance of Mercury cards on the Discover, Diners Club International and PULSE networks. Network International is a Payment Card Industry Data Security Standard (PCI DSS) certified company. Bank Muamalat Indonesia (BMI) is now fully compliant with the National Standard Indonesian Chip Card Specification (NCICCS) on both the issuing and acquiring side with the support of OpenWay. Bank Muamalat Indonesia (BMI), one of the leading Islamic banking providers in the country, is now fully compliant with the National Standard Indonesian Chip Card Specification (NCICCS) on both the issuing and acquiring side. This is a government requirement to improve card security and the customer payment experience in Indonesia. The project was completed with the support of OpenWay, ranked #1 by Gartner in digital payment software solutions and a leader in digital wallets by Ovum, whose WAY4-branded card processing solutions BMI uses. Now BMI can offer its customers chip debit and ATM Visa cards. OpenWay helped make this possible by supporting issuance of dual application cards – international VSDC (Visa) and domestic NSICCS – and setup of 6-digital online PIN in the WAY4 processing system. BMI can also service NCICCS-compliant cards across its ATM and POS networks. “OpenWay has participated in national projects of different sizes, from enabling compliance with national card standards and connection to domestic payment gateways to developing and implementing end-to-end national and interbank switching platforms. We are always ready to support payment institutions in Indonesia and Asia-Pacific build secure and seamless digital payment ecosystems”, – says Rudy Gunawan, Managing Director, OpenWay Asia. NSICCS is a national standard for chip cards which Bank Indonesia has nominated as the payment technology benchmark for all ATM and debit card providers in the country. The goal is to upgrade of national payment system to an international level of security and to mitigate fraud risk. Adoption of NSCCS is one of the phases in the implementation of the National Payment Gateway aimed to strengthen the independence of the Indonesian payment system and increase interoperability between all payment instruments and channels in the country. PT Bank Muamalat Indonesia Tbk (“Bank Muamalat Indonesia”) commenced its journey as the first Sharia bank in Indonesia on November 1, 1991, or Rabi’us Tsani 24, 1412 H. The establishment of Bank Muamalat Indonesia was instigated by Indonesian Council of Ulema (MUI), the Association of Indonesian Moselm Inttelectuals (ICMI) and local moslem businessmen who later gained supports from the Government of Republic of Indonesia. Since it officially began operating on May 1, 1992 or Syawal 27, 1412 H, Bank Muamalat Indonesia keeps on innovating and releasing sharia financial products such as Sharia Insurance (Asuransi Takaful), Muamalat financial institution pension fund (DPLK Muamalat) and sharia multifinance company (Al-Ijarah Indonesia Finance), all of which are breakthroughs in the country. In addition to these, Banl’s product Shar-e launched in 2004 which was also the first instant saving in Indonesia. The Shar-e Gold Debit Visa launched in 2011 obtained an award from the Indonesian Museum of Records (MURI) as the first Sharia Debit Card with the chip technology in Indonesia; as well as a comprehensive e-channel services such as internet banking, mobile banking, ATM and cash management services. All these products are pioneers of sharia products in Indonesia and have become the most significant milestone in sharia banking industry. As there is more acknowledgment on the Bank’s capacity, Bank Muamalat Indonesia expanded its business by adding more branch offices all over Indonesia. In 2009, the Bank obtained a license to operate a branch office in Kuala Lumpur, Malaysia and become the first and still only bank in Indonesia to expand its business in Malaysia. To date, the Bank has operated 325 offices to serve its customers including 1 (one) branch office in Malaysia. The Bank operation is also supported by a wide service network consisting of 710 unit of Muamalat ATMs, 120,000 ATM Bersama and ATM Prima Networks, and a network of more than 11,000 ATMs in Malaysia through Malaysia Electronic Payment (MEPS). Sberbank of Russia, the largest retail bank in Central and Eastern Europe, is using the WAY4 processing platform to increase its issuing volumes by 200% every five years. As of 2014, Sberbank was the largest bank in Russia and Eastern Europe, and the third largest in Europe, ranked 33rd in the world and first in central and Eastern Europe in The Banker's Top 1000 World Banks ranking. In 2009 the bank issued more than 30 million cards. That is double the number of cards issued five years ago when the bank migrated from a legacy processing system to WAY4. Today, Sberbank has three processing centres that serve 120,000,000 debit and credit cards, over 200,000,000 online accounts, and 20,000 branches across 11 time zones. WAY4 takes care of accounting and product management; EMV smart card issuing; acquiring and personalisation; transaction routing and card authorisation; and multi-level real-time risk management. It handles inter-office and inter-bank payment and clearing operations as well as automated dispute resolution. Time-to-market for the bank’s comprehensive card products and services has significantly decreased. The bank offers digital banking services, debit and credit cards - EMV and virtual, MasterCard, Visa and local cards. Working with Russia’s largest airline, the bank has introduces the “Visa Aeroflot” card, which allows cardholders to accrue and redeem air miles. In addition to loyalty programmes, the bank has also launched several card-based charity and social projects. Recently, Savings Bank of Russia became the first bank in the country to connect to Apple Pay. The project was implemented on the basis of the WAY4 Digital Wallet software solution by OpenWay. CMS migrations completed for multiple banks in 3 countries. Nets and its migrated banks have successfully passed PCI audits on WAY4. The largest migrated customer portfolio consisted of over 1 million cards. Nets, the household name in Scandinavian payment processing, is on-boarding Nordic issuer portfolio’s in credit cards and sales finance onto WAY4, the e-payment processing framework developed by OpenWay. Card portfolios of five banks in Finland, Norway and Denmark are already being processed on WAY4 and soon also the migration in Sweden will be completed. For now the payment transactions of more than half (52 percent) of credit cards in circulation in Finland are processed through WAY4. Since the platform adheres to the highest security standards, the processor and the migrated banks were able to pass PCI audits smoothly and in time. More issuers are set to follow as part of the large-scale migration process. Innovative payment services are in strong demand among an increasingly tech-savvy and mobile Nordic population. In-sourcing portfolio’s from legacy systems to the modern WAY4 platform allows Nets to operate its consumer issuing business cost-efficiently, as well as to attract new banks by offering the latest value propositions in self-service, sales finance and increase the profitability of the banks. WAY4 card management functionality covers flexible rule-based consumer account management and product pricing, online risk management and comprehensive accounting. Nets has also implemented additional software modules, such as WAY4 Web-based Workbenches, WAY4 Instalments, and WAY4 Debt Collection. The OpenWay team enhanced the WAY4’s Datamart solution to support Nordic requirements. Datamart serves to generate statutory reports for government authorities and customized interactive reports for analysis of card business profitability – by products, time periods, financial institutions and other parameters. The single largest activity on the project was the simultaneous migration of over 1 million cards onto the portfolio. Maria Vinogradova, Director of Strategy & Marketing Intelligence, OpenWay, adds: “OpenWay is proud to back up Nets’ ambition to remain one of the leaders and innovators of European processing. With more banks in the queue, our team is committed to ensuring seamless migration for each of them, and to strengthening their portfolio with value-added payment services”. Now customers of Priorbank, a leading commercial bank in Belarus and a member of Raiffeisen Bank International group, can use their phones as a universal payment tool. The service supports MasterCard cards and will be expanded to Visa cards later this year. This is the first time Host Card Emulation (HCE) technology for issuing cards in a smartphone has been used in Belarus. The solution was developed on the WAY4 platform by OpenWay, a recognised leader in software for bankcard issuing and acquiring, payment processing, remote banking services and financial transaction routing. To start using the service, Priorbank customers download a special app to their phones and create mobile version of their bankcard in two clicks. The card in the phone can be used for payment in shops, restaurants and anywhere POS terminals supporting contactless payment technology are installed. Each transaction over 200,000 Belarusian rubles (about $10) is confirmed by PIN. Access to cards in the phone is protected by the app's password. The bank plans to implement the mobile issuing service for both debit and credit cards. The WAY4 HCE solution allows issuers to independently issue virtual cards to client mobile phones and store encrypted card data on bank servers. The technology ensures a high level of security for storing financial information according to international standards. The service can be used anyone who has a phone with NFC support, running under Android KitKat 4.4 and higher. "With the launch of this project, Belarus joins the ranks of progressive markets with the most innovative technology in the financial sphere. The solution we introduced today is one of the newest in the area of contactless mobile payments, used by the world's leading banks. − notes Sergei Shishov, vice president of the board of Priorbank. – The technology (HCE) we chose to implement in this project offers great opportunities. Consumers get a convenient, fast, and reliable payment tool. We are certain this technology is not only significant for us, but for the market as a whole. Priorbank plans to actively work on implementing and promoting contactless payment technology in Belarus, assist in raising the financial literacy of the population and developing cashless payments in the Republic of Belarus". In many countries, contactless payment is already helping to solve the problem of lines. It speeds up service in shops and fast food restaurants, on public transportation and at public events. The ability to provide mobile services is becoming another way to attract and retain clients. Mobile tokenisation is becoming one of the main ways to protect card data. Despite international technology giants such as Apple Pay, Android Pay, Samsung Pay entering the payments market, processing companies and banks are also interested in developing their own mobile applications for tokenisation and contactless payment. This helps them to maintain their brand and direct contact with clients. The WAY4 HCE solution offers many advantages for issuers, allowing them to expand their line of innovative card products, save on plastic card fulfilment costs, and quickly and securely bring new services to market. Not only does the solution make it possible to issue a mobile version of a client's existing card, virtual prepaid card can also be offered to new customers. These cards can be issued instantly at mobile sales points or during public events as a ticket and means of payment. "We see our clients are interested in the WAY4 HCE solution and are already implementing several pilot projects in Europe and Central Asia. In the near future, we plan to support international payment system protocols — MDES and VDEP, which will make it possible for banks to provide contactless payments with MasterCard and Visa cards using payment system tokenisation services", - notes Dmitry Dovgal, deputy director of business development at OpenWay. The WAY4 HCE solution was developed to be compatible with any processing system. Moreover, OpenWay has created a set of developer tools, WAY4 HCE SDK, so banks can build WAY4 HCE into their own mobile applications (for example, mobile banking apps operating on WAY4 or another platform). According to National bank data, in Belarus more than 10% of all payment terminals installed support contactless payment. Priorbank is one of the largest banks in Belarus, and is a member of the Austrian banking group Raiffeisen Bank International AG (RZB). Founded in 1989, the bank has firmly established itself as a market leader in financial innovations. It is one of the founders of the "Belkart" national card system, and is an initiator of the newest developments in the area of cashless payment and remote banking systems in the Belarus banking sphere. The bank was the first to issue Visa and MasterCard plastic cards in Belarus. Priorbank is a multiple winner of the "Bank of the Year" title according to The Banker, Euromoney, and EMEA Finance magazines. Priorbank is the only bank in Belarus with western European capital, offering clients European quality services. OpenWay Group was founded over 15 years ago. We develop WAY4, an innovative e-payment processing framework for banks, payment processors, telcos and petrol companies. OpenWay was initially headquartered in Brussels, Belgium with one R&D team there and another in St. Petersburg, Russia. Today we are a global company with 10 offices and 130 customers around the world. Our portfolio consists of WAY4 Card and Merchant Management, Financial Switching, Personalised Channel Banking, Prepaid Cards, E-Commerce, Mobile Payments, Digital Wallet, DCC, Fuel Cards, and other solutions. WAY4 live installations consistently demonstrate high performance; for example, 90 million cards issued and authorized on a single platform and 12 million POS/ATM clearing transactions processed daily by a single acquirer. OpenWay, known for its commitment to long-term relationships, both serves customers locally and provides global support. Today our team unites approximately 500 payment business, digital technology, and security professionals. Customers of Sberbank Kazakhstan can now withdraw cash at more than 900 ATMs without a bankcard. The service was implemented quickly and cost-effectively on the WAY4 payment platform. The new service is scheduled via Sberbank Online, one of the most in-demand online banking services in Kazakhstan. The new Cash by Code functionality was developed by OpenWay together with a third party integration company. OpenWay is a recognised leader in software for bankcard issuing and acquiring, payment processing, omni-channel banking, financial switching, and mobile payments. Sberbank Kazakhstan, whose services are used by 20% of the country's economically active population, now offers customers the ability to withdraw cash without a card at any of 900 Sberbank ATMs across Kazakhstan. To make a cardless withdrawal, the customer simply enters a secret code at the ATM. Despite its simplicity, WAY4 Cash by Code guarantees a high level of security. Customers specify the withdrawal amount and a cell phone number via the Sberbank Online system. A 2-part code is generated. The customer receives the first part via Sberbank Online and the second part via an SMS message. To withdraw the funds, the customer enters both parts of the code and the withdrawal amount at any Sberbank ATM. As an additional security measure, the codes are only valid for 24 hours and the funds return to the sender's account, if they are not collected within that time. Customers can withdraw from 1,000 to 100,000 tenge ($3-3,000). Andrei Timchenko, Deputy CEO – Retail at Sberbank Kazakhstan: "Cash by Code gives our customers hassle-free access to their funds, even if they lose their card or forget it at home. We really focus on optimising retail banking processes -- and developing and implementing innovative IT solutions plays a key role in this." “The Sberbank Kazakhstan team is always open to innovation. Together with OpenWay, the bank is implementing services on the WAY4 platform that enable it to increase loyalty among existing customers but also to attract new customers,” comments Dmitry Dovgal, deputy director of business development at OpenWay. The WAY4 Cash By Code solution is already implemented successfully in various countries in Africa, Southeast Europe and Asia. Sberbank Online offers broad functionality to the customers: p2p-transfers using a mobile phone number, transfer requests, crowdfunding, personal finance management, and many other services. Sberbank Kazakhstan belongs to the Sberbank international group. The bank has been successfully operating in Kazakhstan for 8 years and in the top 4 banks in Kazakhstan in terms of assets. Today, Sberbank Kazakhstan has a branch network of 117 structural units, including 16 branches. The bank's central office is in Almaty. Chase Bank Kenya, an innovative and fast-growing bank with an ambitious strategy across Africa, has successfully migrated its full card portfolio to the WAY4 payment software platform from Electra Card System. The new card management system enables Chase Bank Kenya to grow its cards business by integrating omni-channel capabilities and enhancing fraud management systems. The solution is developed by OpenWay, the market leader in software solutions for bank card issuing and acquiring, payment processing and omni-channel services and WAY4 will support the issuance of prepaid, debit and credit cards — under the MasterCard and Visa brands. The new card management solution will enable Chase Bank Kenya to grow its cards business, gives the bank full control over its new product development process, decreases time-to-market, integrates omni-channel capabilities to enrich the customer experience and enhances fraud management. “Chase Bank Kenya chose the WAY4 platform because of its security, flexibility, cost-effectiveness, scalability, and high availability. OpenWay also has a long term experience in migrating data from the Electra Card System platform and is well known for its commitment to clients,” Chase Group Director of Information Technology and Operations Raj Singh said. In line with the huge presence of mobile money in Kenya, Chase Bank launched several innovative card products which combine payment functionality and mobile wallet features, including supermarket loyalty cards, University ID cards with wallet features, and traveller cards with bonuses features, among other prepaid cards products. “The partnership with OpenWay is in line with Chase Bank’s strategy of developing innovative opportunities of digital banking and omni-payments, which provide the best possible quality of service and financial solutions for clients across the African region. OpenWay is at the forefront of card management solutions in the world and by utilizing the WAY4 platform, the bank is demonstrating that it is a forward-looking business, always on the lookout for new technologies, which will provide our clients with an enhanced customer experience,” Mr. Singh said. Mr. Raj noted that to be a disrupter in the mobile space and support continuously changing payment trends in Kenya, the bank decided to replace its existing Electra Card System with a new in-house processing solution as the legacy platform the bank was running on had become a barrier to launching new financial products due to the costs of customising it. “Delivering within the strict project timeframes was really important for Chase Bank Kenya and OpenWay was able to meet these timeframes due to the excellent cooperation between the Chase Bank and OpenWay teams. We believe the platform will help Chase Bank achieve its ambitious goals within a short term,” said Serge Robyns, Head of Pre-Sales EMEA, OpenWay Group. According to the Central Bank of Kenya and the Communications Authority of Kenya, 76% of the country’s population is registered for mobile money (27.7m). $24 billion worth of funds was transacted through mobile money in 2014 and $101 billion since the introduction of mobile money in Kenya. The majority of adult Kenyans use mobile money for services ranging from P2P-transfers and bill payments, to donations, savings and loans. Chase Bank Kenya is one of the fastest growing banks in Kenya. With a network of 57 branches and over 1000 agents, the bank has a very dynamic market positioning including its historical performance, both in terms of collecting deposits for granting loans exceeding the local banking industry performance without altering the quality of the assets that remain fundamentally sound. The bank has a keen focus on financing Small and Medium sized Enterprises (SMEs) particularly in the women, youth and agriculture sectors in order to enhance financial inclusion and foster economic development in Kenya. OpenWay, a global provider of WAY4 software solutions for bankcard issuing and acquiring, transaction switching and omni-channel payments, has been recognized as ‘Market Leader’ by Ovum, an independent research firm, in its recent report “Ovum Decision Matrix: Selecting a Card Management System Platform, 2015–2016”. Ovum shortlisted 13 well-known CMS solutions from different international vendors, and classified them in three categories: Market Followers, Market Challengers and Market Leaders. OpenWay was classified as Market Leader and, moreover, achieved the highest scores for the majority of assessment criteria. “With its strong focus on open architecture and flexible modular design, OpenWay Group has grown rapidly in its 20 years of operation to become a major player in the card management systems space. With an impressive client list, and a proven track record of large-scale deployments, the WAY4 platform has proven itself capable of meeting the needs of most payment providers for issuing, acquiring, and commodity processing services,” the Ovum analysts conclude in the report. The research further rates the WAY4 platform particularly strongly against competitive systems. OpenWay emerges with the highest level of overall market impact and technology scores. The market impact is mainly attributed to the breadth and scale of OpenWay's high-profile clients while the technology score is being ascribed to the platform architecture, broad core functionality and its multi-regional support capability. OpenWay’s recognition by Ovum follows the notable recognition of the company by Gartner in 2009 and 2010. In Gartner’s “MarketScope for Multiregional Card Management Software” OpenWay received the highest ‘strong positive rating’. WAY4 CMS is a fault-tolerant open-platform software solution. Because of smart flexibility, customers can configure their own products and services based on WAY4’s business rules that cover customer experience, accounting, fraud prevention rules, personalisation, currencies, and other parameters. There are no technical limits in WAY4 in terms of the number of cards, accounts, terminals, cardholders and merchants, currencies, FX rates and languages. It is the only payment processing platform where the front and back office are integrated online. It gives OpenWay’s customers migrating to a digital banking architecture an opportunity to launch comprehensive online products and services, omni-channel, transaction switching, and payment hubs. Ms Vinogradova explains that the market is changing, with classical banking being replaced by digital payments delivered at lower cost, better customer experience and value-added services based on customer lifestyle. “Many of new services, such as NFC (HCE), digital wallet and m-commerce, have been implemented in WAY4 and used by our clients while others are included in the WAY4 roadmap. Our goal is to support our clients to make them the first to benefit from the latest innovations,” she says. To learn more please download the full report here. Moldindconbank, one of Moldova's largest and most innovative banks, has launched WAY4 Cash by Code. This service, developed by OpenWay, makes it possible to receive cash money transfers at ATMs without the need for a plastic card. Moldinconbank is Moldova's best bank according to the American magazine Global Finance in 2015. OpenWay is a recognised leader in software for bankcard issuing and acquiring, payment processing, remote banking services and financial transaction routing. Moldindconbank and OpenWay have completed implementation of WAY4 Cash By Code technology. The new ATM service allows bank customers to use an ATM to transfer funds from their card accounts to another individual who needs no card to receive the transferred cash at another ATM. A sender specifies the transfer amount, the currency and the recipient's mobile telephone number. WAY4 automatically generates a code consisting of two parts: the first is printed on the ATM receipt and the second is delivered by SMS message to the transfer recipient. The cardholder shares their part of the code with the recipient. Before the recipient receives the transfer in cash they must enter both parts of the code, the expected amount, and the transfer currency at any Moldindconbank ATM. After the data has been verified, WAY4 authorises the cash withdrawal. To increase security the validation period is strictly limited: if the amount is not withdrawn within 24 hours, the money is automatically returned to the sender's card account. More than 170 Moldindconbank ATMs across Moldova support cardless cash withdrawals thanks to WAY4 technology. "WAY4 Cash By Code technology is already being used successfully by our clients in other parts of the world – active users include cardholders of the financial institutions in Azerbaijan and Kenya. The technology is popular as it is easy and transparent for customers, and it also provides the required level of security," comments Dmitry Dovgal, Deputy Director of Business Development, OpenWay. "Over the past few years, Moldindconbank, with the support of our partner OpenWay, has been implementing innovative issuing, acquiring and self-service channel solutions. The WAY4 platform's flexible architecture allows our bank to work with client profiles and quickly implement innovative services in the omni-channel model. We expect a high degree of interest in this new and convenient service that is unique for our market," – Dmitry Nikolaev, Director of the Bankcard Department, Moldindconbank. Moldindconbank is one of the oldest and largest banks in Moldova. In the bank's recent history, the last few years are especially notable. This has been a highly productive and successful period for Moldindconbank, which has gained a clearly defined strategy of development, a professional team of managers and, most importantly, has increased the number of clients loyal to the bank. The bank's internal strategy was aimed at increasing efficiency by searching for additional reserves and improving from within, while externally expanding the client base, range of services and constantly increasing its market presence. Today Moldindconbank is one of the largest strategic banks in the Republic of Moldova with a well-developed infrastructure in the Republic, established business relationships and a strong reputation on the international financial market. The bank currently offers the maximum possible range of financial services on the local market through its large network of branches and representative offices all over Moldova. Its strong international reputation is reflected in support of correspondence relations with major world banks and in collaboration to attract long-term resources from international financial institutions such as the International Financial Corporation, World Bank, and other funds for international development. In the future, Moldindconbank plans to continue its development as a universal bank offering corporate products (including loans to small and medium businesses) and retail directions. The bank's strategic priorities are to maintain a sufficient level of liquidity, increase its market presence and promote new products for small and medium businesses and for individuals. ATF Bank is the first bank in Kazakhstan to implement a novel way to set PINs at ATMs that is both convenient and cuts costs dramatically. The service is based on the WAY4 PIN Set solution developed by OpenWay, a recognized leader in software for bankcard issuing and acquiring, payment processing, and omni-channel banking services. "The WAY4 PIN Set technology allows us to offer our clients a quality and highly relevant service. When a card is issued, instead of a paper envelope with a random set of digits, the client gets an SMS message with a card activation code. Then the customer at an ATM independently sets a PIN that's easy for him/her to remember" – comments Inessa Espenbetova, the executive director of ATFBank's card business. "We see that banks are showing a growing interest in the WAY4 PIN Set technology. Printing and sending PIN mailers is a rather expensive process. The ability for clients to set their own PINs allows banks to cut bankcard issuing costs. It's worth pointing out that all options fully comply with international payment system security requirements" – notes Dmitry Dovgal, deputy director of business development at OpenWay. WAY4 PIN Set technology allows clients to set their own PIN using a mobile phone and an ATM. The use of two channels as well as additional restrictions such as a validity period for an activation code and a special status for a card when it is issued ensures this operation complies with all security requirements. WAY4 supports several options that allow banks to stop using PIN mailers. Currently solutions are implemented for setting PINs at ATMs, POS terminals, through IVR, SMS messages, and web forms on the bank's website. Scenario configuration depends on the bank's business requirements. WAY4 HCE gives financial institutions an opportunity to implement contactless mobile payments faster and easier. The first live demonstration of WAY4 HCE took place at the OpenWay OnWave user group at the end of 2014 in Paris. WAY4 Host Card Emulation software - developed by OpenWay, a recognized leader in software for bankcard issuing and acquiring, payment processing, and omni-channel banking services - supports cloud technology specified by Visa and provides value-added financial services for customer attraction and engagement via mobile. WAY4 HCE allows banks to issue virtual cards on a phone instantly. In this way a bank can make an existing card NFC-enabled on a smartphone, issue a mobile copy of a lost card, or create a new card while the plastic version is in production. To use it the customer downloads a WAY4 HCE mobile app from Google Play or the bank website, opens it, selects the service, and links a card to the app or creates a new one. To support the service, WAY4 provides the bank with a cloud where all security data elements are stored and available for authorization. Moving the security element from the SIM card to the cloud means removal of the need for an intermediary between the bank and the merchant, such as a mobile operator or another TSM. As a result, the project to launch the NFC service is simple and quick with lower costs. Using this solution, a bank can save on issuing plastic, restoring lost cards, and delivering cards. The service improves a customer experience, increasing client loyalty and strengthening the bank’s brand. When a client makes a transaction on a POS terminal, the system contacts the security element in the WAY4 cloud server and gets there a security key that is necessary for the transaction. The WAY4 architecture assumes a fully secure environment, meeting PCI DSS requirements since sensitive information about cards is not kept on the mobile device.